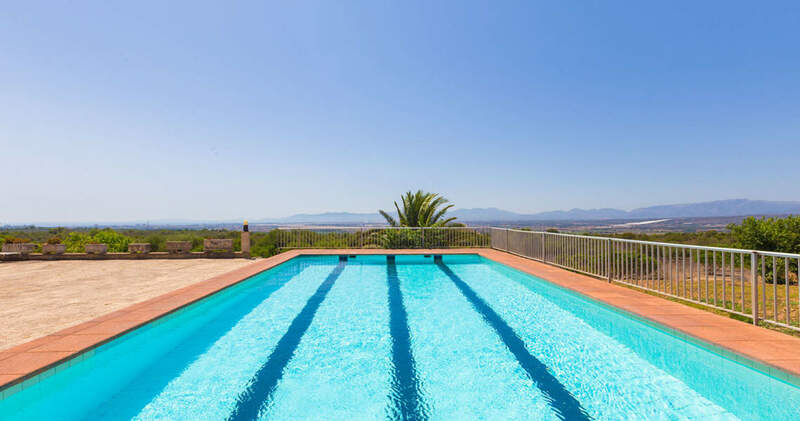 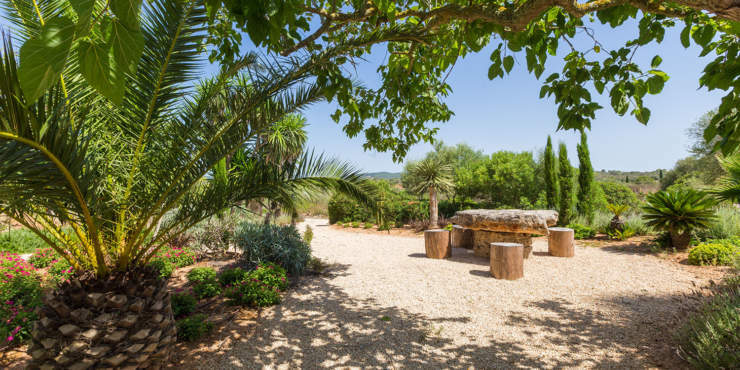 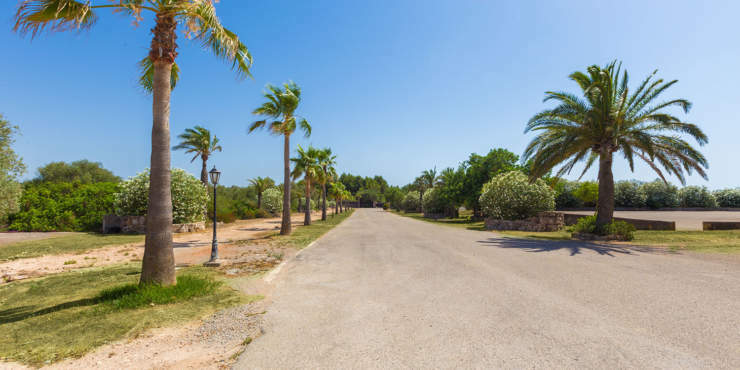 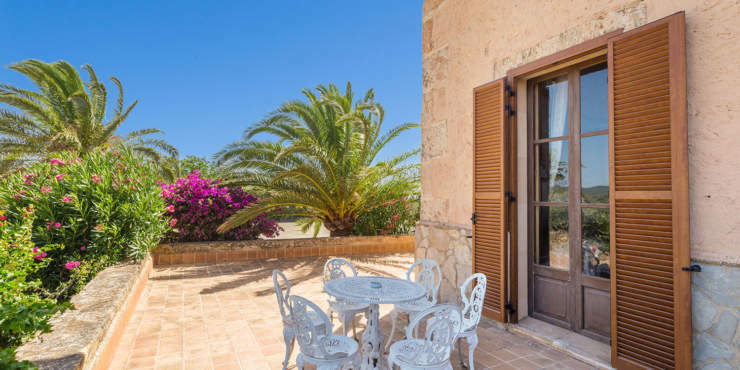 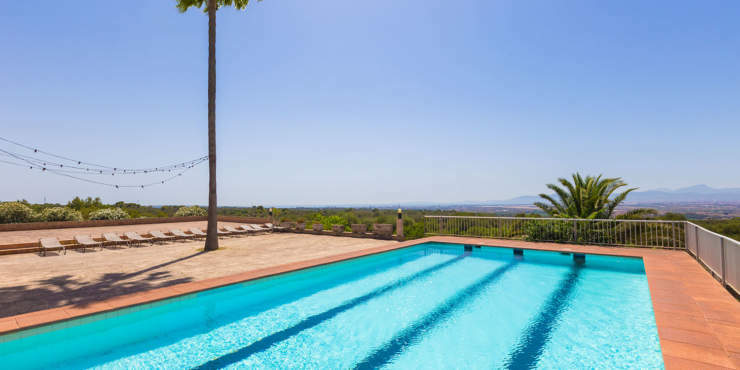 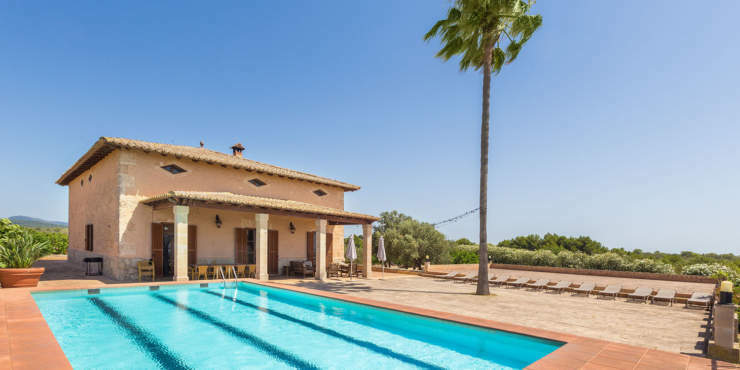 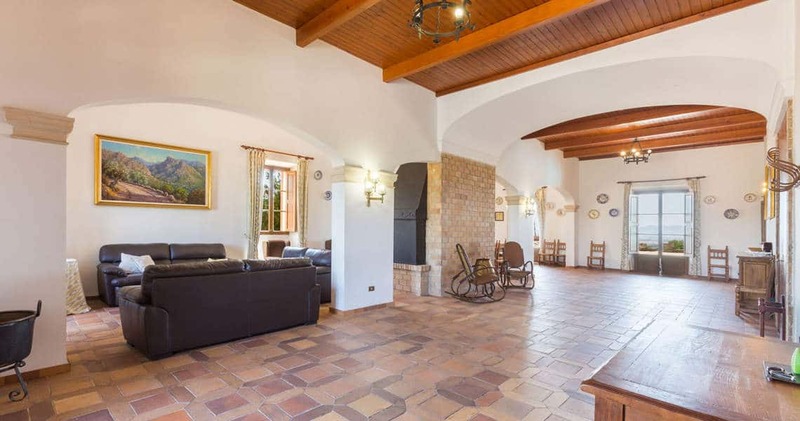 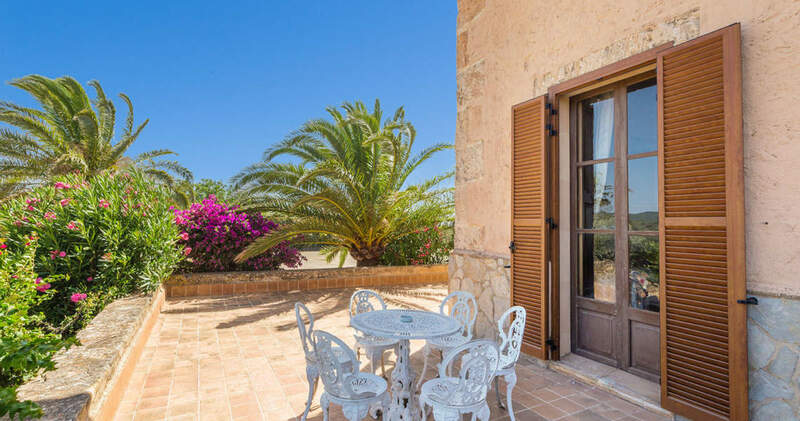 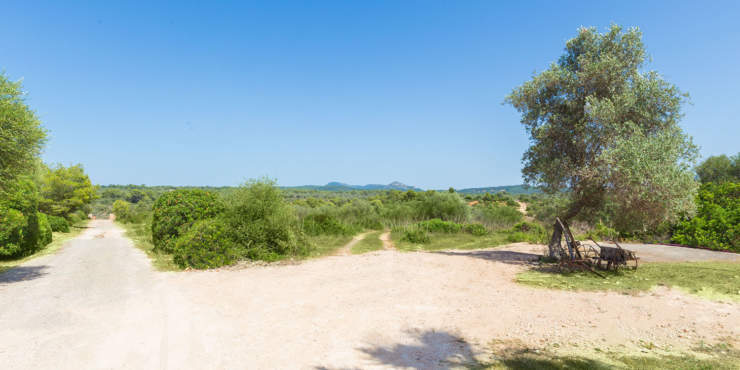 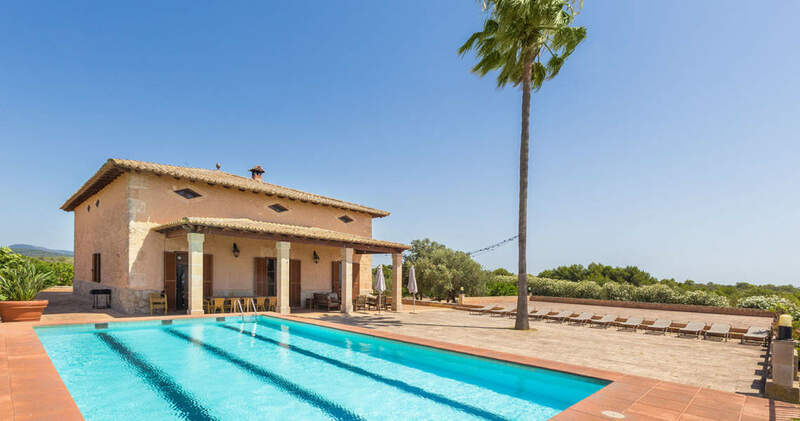 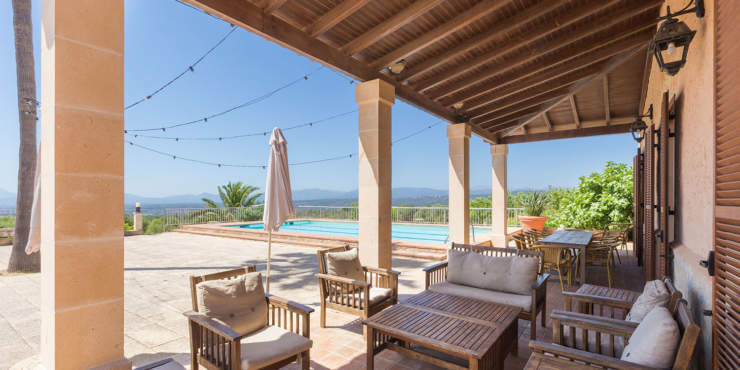 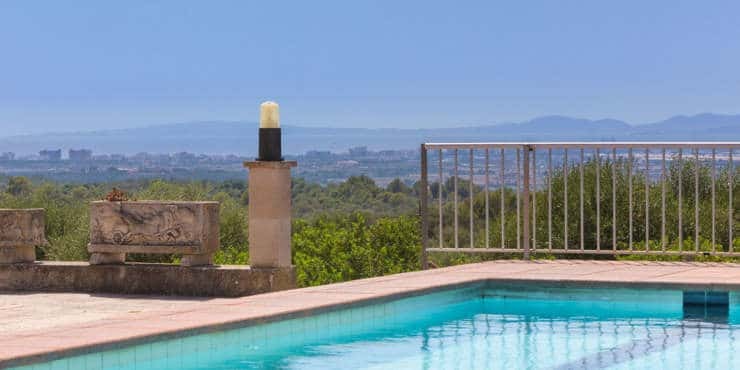 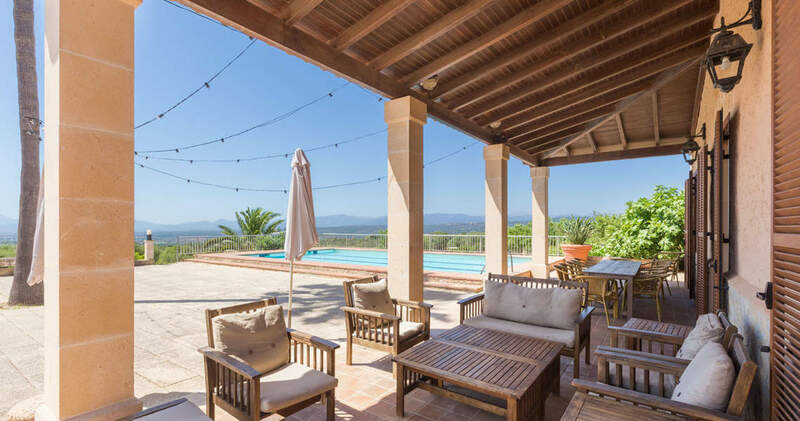 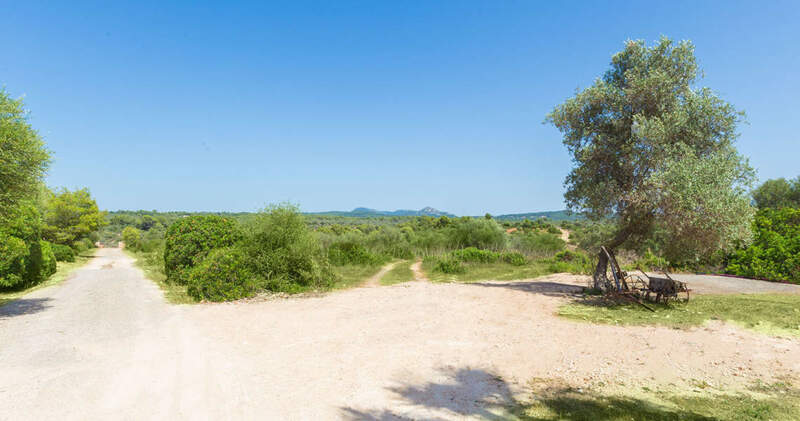 This country estate sits on 900,000 m² of land in an elevated position and offers complete privacy as well as sweeping panoramic views of the surrounding countryside with the bay of Palma and the Tramuntana mountains in the distance. 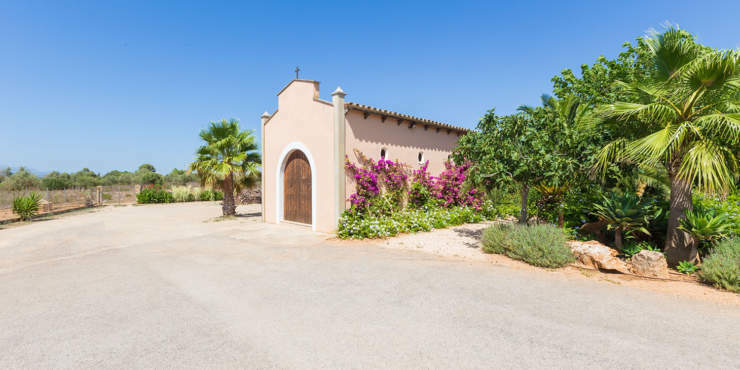 The property, dating from the 19th century, comprises a main house and a further three buildings plus a small private chapel. 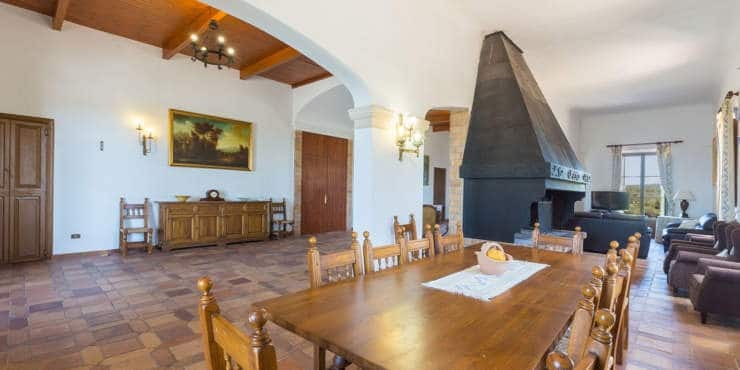 The characterful main house boasts typical style elements such as vaulted ceilings with exposed wooden beams, original floor tiles and a large open fireplace, giving it a unique charm and ambience. The main house comprises a total of nine bedrooms and three bathrooms but could be remodeled to suit the purchasers wishes. 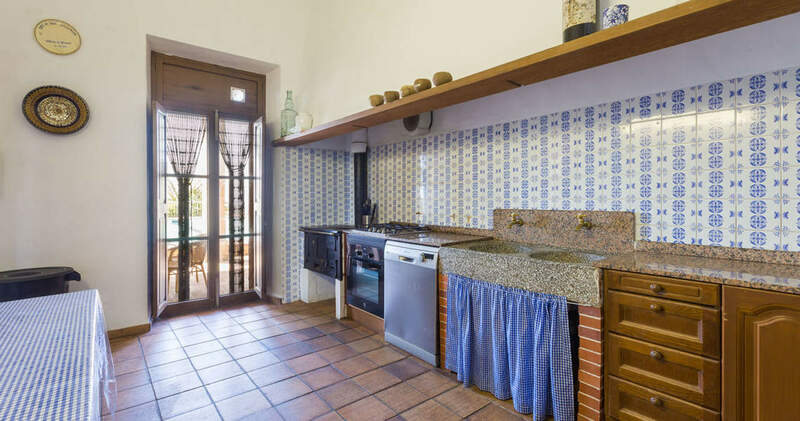 A large kitchen, storeroom and utility room make it easy to imagine using the property for commercial purposes. 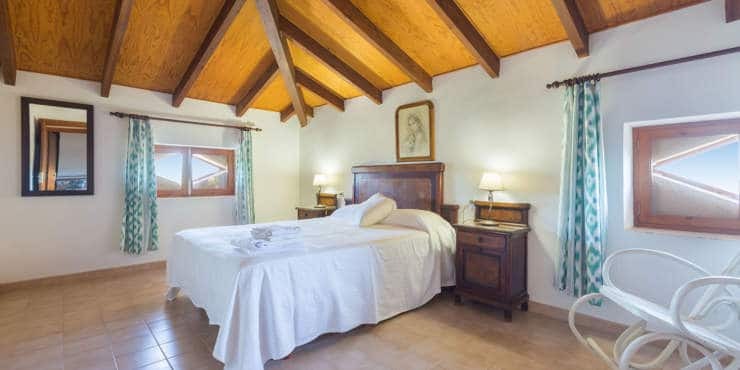 Alongside the house are separate buildings which comprises a three bedroom one-bathroom house formerly used as the housekeepers’ accommodation, plus a further a three-bed, one bath, guest house and a guest apartment also featuring two bedrooms and a bathroom. 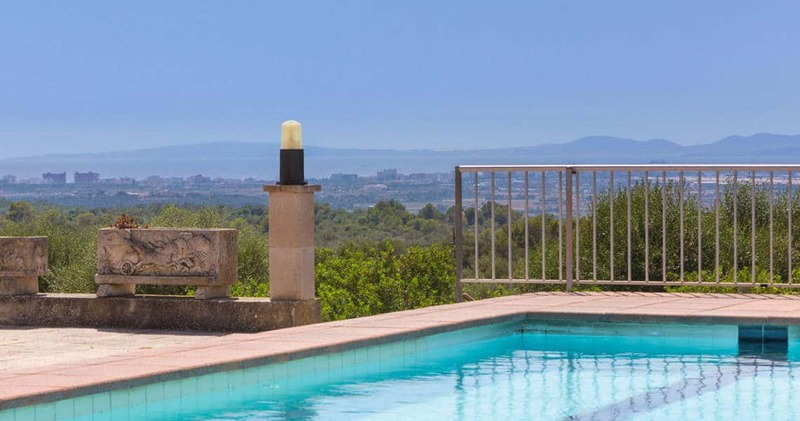 Outside is a large swimming pool with expansive terraces and breathtaking unobstructed views. There is also small football pitch. The property requires refurbishment but is an ideal investment opportunity as a small rural hotel or for a large family seeking a home with separate accommodation for family and friends.